Cecelia Ahern’s books are life lessons. 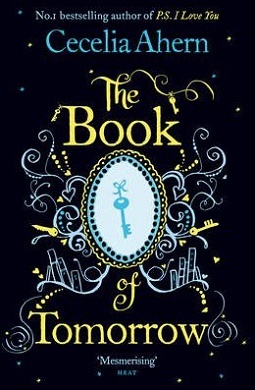 So was The Book of Tomorrow. I read it because of its title. Later, after reading it, I wondered if the book chose me, if it came to me as a signal. I was passing through a difficult period when I read it, and somehow it made me think: If I knew the future a day before it happened, could I have changed anything? In her book, Cecelia drew a wonderful story. It is the story of a family with a lot of secrets hidden in the mist of time. Tamara Goodwin, a „princess” of her time, was the wealthy high society girl, living the perfect life, going on luxurious vacations, and having her wishes fulfilled one after another. She wakes up one day thrown into darkness. The day her father commits suicide, not only does she lose a parent, but her life turns upside down. Her mother falls into depression and there is nothing that can help her recover. Because the family fortune has gone down the drain, the two of them, mother and daughter, are forced to withdraw to the country side. Arthur and Rosaleen, her mother’s brother and his wife, commit to taking care for them until they get on their feet again. The difficulties that sixteen-year old Tamara has to fight are not necessarily a punishment for the selfish life she had until then, but a lesson she needed in order to live a beautiful life, happy in the real sense of the word. How so? Well, here’s a sneak peek at what happens in The Book of Tomorrow. Tamara discovers in the ambulant library of her friend, Marcus, an untitled book, without an author and locked up. It attracts her like it’s been there for a long time waiting for her. Later, when she manages to take the book, she discovers it to have blank pages, like a diary waiting to be written. And this diary is writing itself. She is astonished to discover that her memoirs about the next day (written by her hand) appear in the book over the night. That means that she can find out the future one day in advance, giving her the possibility to take action… or not. It is funny how, knowing the future, she cannot turn the things in her favor even if she is trying to. Tamara finds out things that she couldn’t have otherwise, those dark secrets of her family. She loses her father not only once, but twice, and she manages to save him… but not the father who committed suicide, of course! If you are a little bit confused, it’s ok. You’ll understand that weird situation by reading the book. If you think I said too much, well, don’t worry! The story is long, it’s beautiful and mysterious. 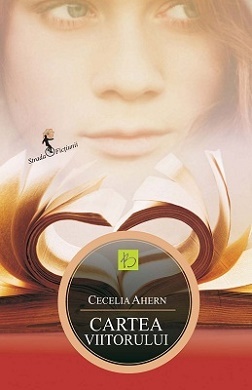 I invite you to discover it, to lose yourselves among the words, to be amazed by Cecelia Ahern’s world. I assure you that, at the end of the book, you’ll face the same question as I did: what would you do if you knew the future?